Where to even begin with this odd, nonsensical, messy yet… strangely… kinda fun show? Here’s the premise: In 1994, a pop duo J2 ruled the charts until its front man went missing, mysteriously… leaving behind his pregnant girlfriend. In 1993, that same front man actually traveled through time, 20 plus years into the future, via a typhoon/staircase incident (don’t ask)… and apparently this split him into two people – the one who will stay behind and continue on route to disappearing in 1994… and the one who now roams around in the future. Time traveling rock star hangs out with his own son (who is struggling to become a pop idol via some training program), and his two best friends – who all share a rooftop room together. Meanwhile time traveler’s best friend and baby-mamma live downstairs, now middle aged. From there it is a bizarre mix of flashbacks and strange relationships and strained relationships, as everyone deals with this time warp business. 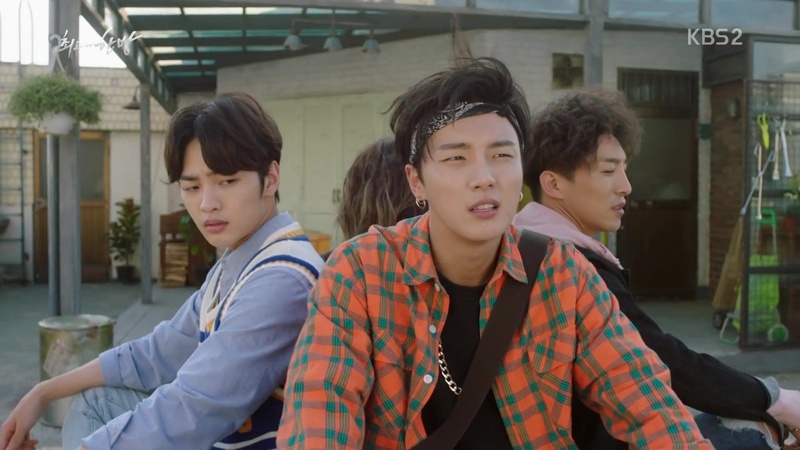 It was honestly a disaster, but Yoon Si-Yoon is so good at playing these cheesy, over the top, lovable goofball rolls that he makes even the most preposterous convoluted story lines enjoyable. I wasn’t overly impressed with anyone else – or their stories – but I stuck around. I admit I did fast forward quite a bit. This was another one of those annoying “short” episode shows where they’d literally just cut a normal episode in two for no conceivable reason – so the pacing always felt off. It wasn’t quite about family. It wasn’t quite about the entertainment industry. It wasn’t quite a time travel mystery. It wasn’t quite a romance or a bromance. It was a little of everything and thus not quite much of anything. The love triangle was more interesting than most, though, as it mirrored the infamous Pretty In Pink storyline… where you have two best friends who mean everything to each other, but one of them is secretly in love. The key to this is making the person with the one sided love very charming and sympathetic… thus leading to “Duckie Syndrome,” where the majority of the audience likes that guy more than the lead guy and seem annoyed the girl doesn’t return his affections. 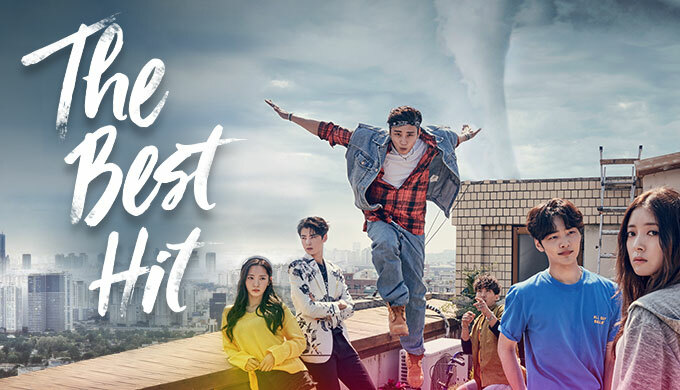 In this show, the son of the time traveling pop star has been in love with his best friend for years – and finally decides to confess once he notices her falling for his time traveling father. So… there were pros and cons. Probably more cons… and yet… and yet… it so freakin’ weird and unexpected that I did enjoy watching it. The first 10 eps were incredibly hammy and nonsensical, but once it found it’s place, the story did improve drastically. Overall Rating – 7/10. Yoon Si-Yoon Is Fun In Every Decade. I’m so excited to watch this. Have been hearing good things about it!